Authorities presume that the vessel was heading towards the coasts of Limón. 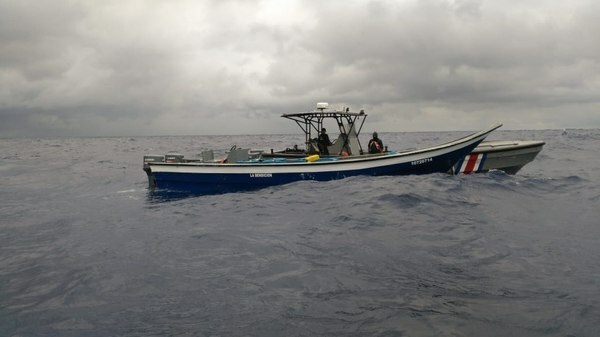 Patrols of the National Coastguard Service (SNG) captured in the Caribbean Sea, 27 nautical miles (about 50 kilometers) from the coast of Limón, a boat in which three people transported 600 kilos of cocaine and 14 kilos of marijuana. The arrest was made on Saturday at 6:20 am, reported Sunday the Ministry of Public Security in a press release. The Costa Rican police action was developed after receiving an international warning about the passage of a vessel suspected of being used by drug traffickers, which sailed very close to the coast of the Costa Rican Caribbean Sea and that was heading from Colombia to the coast of Limón. The national patrol boats got on the water and got the intercept of the vessel named La Bendición , which is a picuda style, without license plate or flag, and in which three crew members named Hernández, Avendaño and Marrón, of Colombian nationality, traveled. These boats are called picudas (equal to the fish of the same name that is thin and thin) because they are made of fiberglass, which makes them practically invisible to radars; they consume relatively little fuel and, in addition, they are very fast. 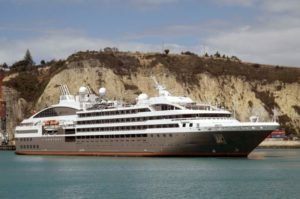 The boat, the drugs and the detainees were taken to Portete, Limón, where they were placed under the order of the Deputy Prosecutor’s Office of Limón. The detainees, the boat and the drug were taken to the Portete dock in Limón, where they were placed under the order of the Deputy Prosecutor’s Office of Limón. 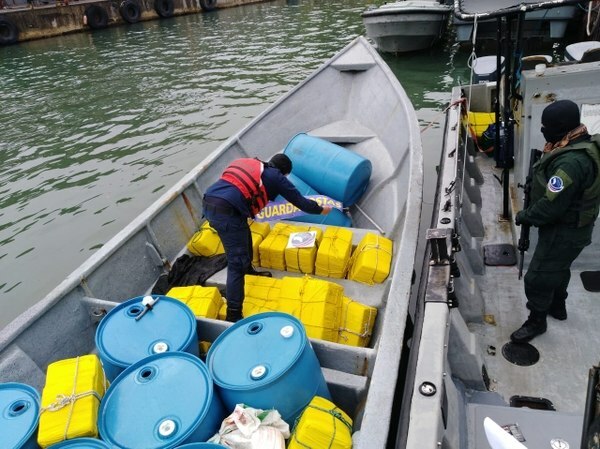 Public Security added that the capture of drugs was done in collaboration with the United States Coast Guard, the Colombian Navy, the SNG and the Border Police. With this seizure of 600 kilos of cocaine, the amount taken away from drug trafficking in the last 18 days adds up to seven tons. The first blow occurred on Thursday, February 28, when a launch was intercepted 68 kilometers from the coast, at Cape Matapalo de Osa, Puntarenas. It carried 49 packages containing 1,231 kilograms of cocaine. Of those, 60 kilos were camouflaged in soles of footwear, Public Safety reported. In this case, two individuals with surnames Morera and Contreras were detained, serving three months of preventive detention. One day later, on Friday, March 1, an abandoned boat was found on Cabuya beach in the district of Cabo Velas, Santa Cruz, Guanacaste, whose drug shipment was transferred to four vehicles held near the Daniel Oduber airport in Liberia. In total, the police seized 1,065 kilos of cocaine and arrested three men with surnames Pereira, León and Guarín, as well as three others named Mora. The Criminal Court of Liberia imposed the six preventive prison for three months. On the night of Sunday, March 3, SNG officers made the arrest of three men with another load in a boat. This action was developed on the high seas and concluded at Escondida beach in Quepos, Puntarenas, where the vessel carrying 1,461 packets of cocaine ran aground; each one kilo. The capture of the boat The Blessing was made 27 nautical miles (about 50 kilometers) from the coast of Limón. There were arrested three suspects, surnamed Castillo Sánchez, 29; Grueso Valencia, 59; and Rentería Suárez, 24. All were at the order of the Public Ministry. It was the license plate PQ-8867, with the name Cap Mave, in which four crew members with surnames Rivera, Arguijo, Aragón and Rosales. That same day, but 170 kilometers from Golfito, another canton of Puntarenas, a suspicious boat with 1,500 packets of cocaine was detected. All these shipments total 6,457 kilos that added to the 600 this Saturday, account for 7,057 kilos.